After reading Literae Humaniores at Oxford he was Craven Fellow of that university 1960-1962; then Research Fellow at Birmingham; Lecturer, later Reader at Leeds; Visiting Lecturer, Duke University, N. Carolina; Professor of Ancient History at Manchester and at Düsseldorf, retiring in 2002. He was elected Fellow of the Society of Antiquaries in 1969; Corresponding Member of the German Archaeological Institute in 1981, full Member from 1992; Member of the Nordrhein-Westfälische Akademie der Wissenschaften 1994-2002, now Corresponding Member; Member of the School of Historical Studies, Institute of Advanced Study, Princeton 1994; Trustee of the Vindolanda Trust since 1970, Chair of Trustees since 1996. 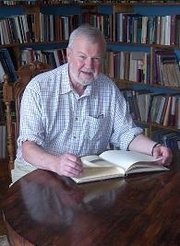 Anthony Richard Birley is currently considered a "single author." If one or more works are by a distinct, homonymous authors, go ahead and split the author. Anthony Richard Birley is composed of 14 names. You can examine and separate out names.